A stunning keepsake to adorn his sleeves, these wonderful silver finished cufflinks are beautifully set with three single sparkling diamantes and expertly engraved with the initials of your choice. 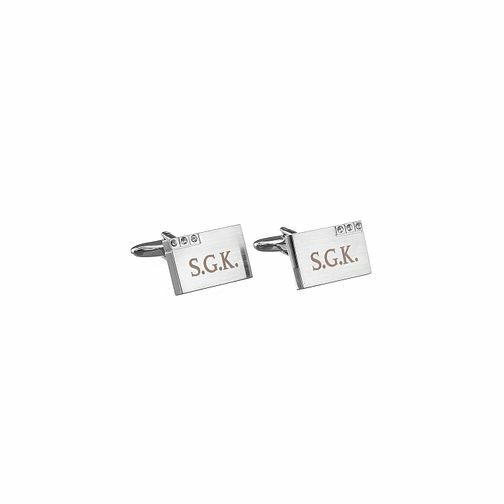 Engraved Diamante Cufflinks is rated 5.0 out of 5 by 2. Rated 5 out of 5 by Anonymous from Perfect Birthday Gift I brought the cuff links for my son's 30th Birthday. They are lovely, very 'classy'.